Mnd reading so amazing you might get a headache! Transforming your Holiday party in 2018 from good to GREAT! From Corporate to Social events we make you look good and your event unforgettable!! Strolling Miracles -brain teasers and miracles up-close! 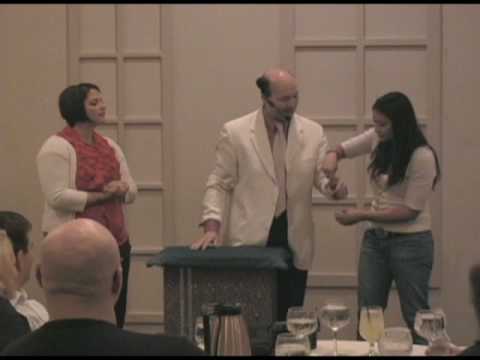 Or engage all of your employees after dinner with stunning illusions& comedy! We hired Phil for Maine's largest trade show and the results were amazing. While other exhibitors were eating and texting at their booths we were fully engaged with potential clients. Phil has a wonderful way of getting show attendees to stop at your booth, get their solicit business cards, and provide them with your business card. Phil converts attendees into potential clients. Well worth the investment. Phil did a terrific job for us at a recent trade show. We were able to sit back and watch the show, as Phil magically entertained potential clients at our booth. We will definitely hire Phil again ! We hired Phil Smith for our company Christmas party: and we are so happy that we did! He had everyone in awe with his magical performance. At first he spent an hour going table to table amazing everyone with his talents, and getting to know our group; many by name! After dinner he did a stand up show that included many audience members which was very fun! It was truly a fantastic evening and we would highly recommend Phil Smith to anyone interested in his service! My review and that of my colleagues and individuals were mixed. Some found you to be entertaining, were others were not impressed at all. I would say that your group did a super job going all out dressed the part of the Wizard of Oz...the request I received from you was to wear some green...which I did wear a green dress shirt. Phil is a extremely talented entertainer! He kept us engaged with his magical show and his funny comedy to go along with it. I would hire him for other functions in a heartbeat! Well done job, Phil!!!! It was a blast!! Phil was amazing at the annual Christmas party; this was the first time we had hired him for our event, and he did not disappoint, rather the complete opposite. The floor show was spectacular, everyone was blown away by the various coin tricks, card tricks and then the overall floor show was a hit, in particular with the final trick - "disappearing dollar bill"
Phil worked our room of about 100 guests. They still haven't stopped talking about what a great time they had. My kids still corner anyone they can find to show them their new magic tricks! I was thrilled to be a part of Gus's special day! Phil did a wonderful job engaging our clients and keeping them entertained during an appreciation party. We heard a lot of great feedback on how impressed they were with his work. Phil always does a wonderful job keeping the attention of both young and old. Thanks Jeff, for utilizing my magic talents for your real estate 'OPEN HOUSE' ! We hired Phillip for our 5th Annual Holy Cross Fall Festival as we wanted something more than a magician that did basic tricks. Phillip performed some head scratching illusions that kept adults and kids alike entertained and asking "how could he have done that?" Phillip's "dollar bill in the orange" illusion had Festival attendees talking about it all day. If you are looking for illusions, not trite magic tricks, definitely hire Phillip. He customized his performance, spontaneously as the profile of the crowd changed. Phillip was professional, very nice and delivered just what we were looking for. We would definitely hire him again. Knows How to Work The Crowd!!! Given less than a month to organize a company-wide anniversary party for 1,800 employees I put my priorities on logistics and food but quickly realized as the date was fast approaching I needed to find some entertainment, too! That's when I found Phil from Abracadabra Productions and he was FANTASTIC!!! Phil was very accommodating, made great suggestions prior to the event and exceeded my expectations during the event! This celebration was entirely for employees and therefore adults but everyone enjoyed him. I could always tell where Phil was in the crowd because there would be a roar of “oohs,” “aahs,” and laughter. I will certainly think of Phil first next time I’m looking to hire a magician! Our carnival wouldn't be the same without Phil who has entertained and amused campers and counselors alike with amazing card tricks, astounding slight of hand and his wonderful personality for more years than I can remember. On March 13th, 2014 I hired Phil Smith to open our Education Seminar for a group of experienced local real estate agents. As a mortgage professional this event was an opportunity to provide useful information to a room of prospective referral sources. The stakes were high. A lot of time and planning goes into a 3 - 4 hour event and one of the goals is to have the realtors leave with a positive feeling. I need this seminar to be worth their time, provide value and evidence that I am a reliable resource for their business. Far too often these seminars end and they lack a key memorable moment that I can refer to in my follow up conversations and emails. For this event Phil provided a 15 minute introduction which had the attendants standing to applaud and laughing. It was a great wake up call for a 9am start time and an unexpected moment they will not soon forget. Phil was able to effortlessly tie my business into his act and create the image of the efficiency with which we operate for the realtors. It was perfect and exactly what I wanted. The professionals who attended the seminar will always remember Phil's opening act and it has already made it easier for me to secure the follow up, one to one meetings I was hoping for. I am very excited about the results and I look forward to hiring Phil again soon for a similar event. Hiring Phil Smith has allowed me to get the return on my investment I was looking for. Our school district’s Extended Day Program needed a presenter for a school early release day at the last minute. As director, I posted my request on thumbtack.com seeking the services of a magician. Within minutes, I had responses from half-a-dozen magicians. Phil Smith’s humor came through in his correspondences to me, which is why he was hired despite being located in another state. Phil also made the booking process uncomplicated and effortless, which was greatly appreciated. Less than two weeks after the booking, Phil came to our school and performed a forty-five minute show to a group of 100 students ages 4 to 12. Not only were all of the students fully engaged throughout the event, but also the staff were entertained and chuckling the entire time. The students were kept involved during the show, as many of them were called up on stage to assist in performing the magic tricks. Phil amazed the children with his magic and maintained everyone’s attention during his interactive show. It is my pleasure to recommend Abracadabra Productions to any school-age groups who are looking for an amusing, affordable, entertaining performer. Top marks for Phil Smith! I want to make sure you know that we enjoyed your magic presentation enormously on Saturday evening. Every act was a marvel. Your humor, amplified by "mistakes," hit the mark exactly. Kids and adults alike delighted in your skills. The sleight of hand was flawless, as far as we were concerned. I am still trying to decide which I preferred: the 3 rings, the foam balls, the dollar bill, or the cards. The latter was especially intriguing for many of us, but all of it was wonderful. The appearance of Snow White was well suited for my grandchildren, Adelaide and Felix. They were spellbound. We hired Phil for our company's 25th Anniversary party. He was able to move with ease around the office & entertain many as we had close to 300 quests. They were all awed by his magic! I had the pleasure of seeing Philip Smith's act for the first time at our company party and was blown away! I would highly recommend his act and look forward to any opportunity to see him again. Phil did a wonderful job at our daughter's birthday party! The kids were drawn in, engaged and entertained. His tricks were great, he managed the crowd well and everyone loved it, including the parents. Phil with Abracadabra Productions performed for our large group of children who ranged in age from 2-10 + adults and was very engaging, funny and entertaining. Phil was very patient and professional and included all children in the show. Everyone really enjoyed the show and many asked for his contact so they could use him at their own future parties. My son had one of his best birthday parties. Phil with Abracadabra Productions performed for our group of 12 children (5-10yrs old) and was funny, entertaining, and engaging. He included all the children in some fashion and kept the show moving along. Great show! Phil was amazing at Windham Summerfest 2013. He not only held the crouds attention but did some one on one after his fantastic show which really not only engaged the younger kids but also the teenagers and adults. As always... Fantastic!!! I have recommended Phil Smith to the adviser for next year's Project Graduation because he was so popular with the students this year. Phil has performed at Lewiston High School's Project Graduation for many years. He moves from group to group throughout the building, so he comes in contact with all of the students, whatever they are occupied with. They are all awed by his sleight of hand, and I'm sure some think it's actually magic. Philip Smith was fun, entertaining, and captivated the audience from start to finish. I would highly recommend his show! This letter is to give my enthusiastic recommendation to Phil Smith and his magic show. Phil's Magic Show was phenomenal, and for 45 minutes he brought illusions, juggling, and hilarious comedy to our community. If you are looking for great entertainment for an upcoming event, you're in luck! Phil Smith is just what you are looking for. Recently, the Bucksport Bay Area Chamber of Commerce hired him for part of Frost Fest, a winter festival with a various events and games to keep school-aged children and their families busy during February vacation. Phil did a fantastic job and everyone raved about his performance. One parent's feedback was "He was very patient with all the kids, really great show". After his show he provided the attendees with a "learn to be a magician" class that most of the children took part in. His dynamic energy was contagious - it was the highlight of the day! I brought my own 4-year-old child to this event and she was blown away. It was the topic of conversation for quite some time at home and at school. She would say, "I can't believe he could do that". I would whole-heartedly recommend Phil to anyone looking for something different and fun for any event. Thanks for partnering with us Phil. Abracadabra productions rocked MyTie Lounge!!! I met Phil in one of his performances in Portland and WOW he amazed me! So, before I celebrated my business anniversary I hired him for a few hours, THE RESPONSE: WOW!!! Costumers were soooo happy with him! He kept people entertain and laughing all night long!!! After his first successful show I decided to invite him again for new years eve and he surprised everyone again! Always bringing something new for the costumers, didn't hear anything but AMAZING comments about him! Can't wait to have another party just to have him again!!! Definitely worth every penny!! Thank You Phil!! I did an internet search for party entertainment and hired Phil Smith at the last minute for a child's birthday party. I am so glad we did! The guests, who ranged in age from 2-10 + adults all seemed to really enjoy the show and many asked for his card so they could use him at their own parties in the future. He tailored the show to include the interests of all the guests, made sure everyone who wanted to participate in the show was included, kept all the children engaged, handled a naysayer expertly and gently so that the naysayer and everyone else could still enjoy the show. He was so patient and professional as I waffled on if I wanted entertainment and how much I wanted to spend, communicated quickly and effectively about different options so I could make a decision. I also have to say he debunks every unfairly judgmental and wrong preconceived notion/worry you may have about having a performer come to a children's birthday party (that they'll be odd etc) - he is a warm, friendly, kind, professional performer/dad who understands children, was a pleasure to have in our home, and really made our party feel like an event! Our preschool has contracted Phil for 20 years to perform for our 3-5 year olds. What a magical time they have...the room is filled with laughter and wonder. Phil engages them with his stories and tricks. We continue to be amazed and delighted by his performances every year. Stunning Illusions -classics w/ a comedy twist, juggling antics with humor, audience participation that leaves the participant (non-embarassed and thrilled, and outstanding mind reading! Classics like the rings linking, fruits appearing out of thin air which may contain missing items from audience members! 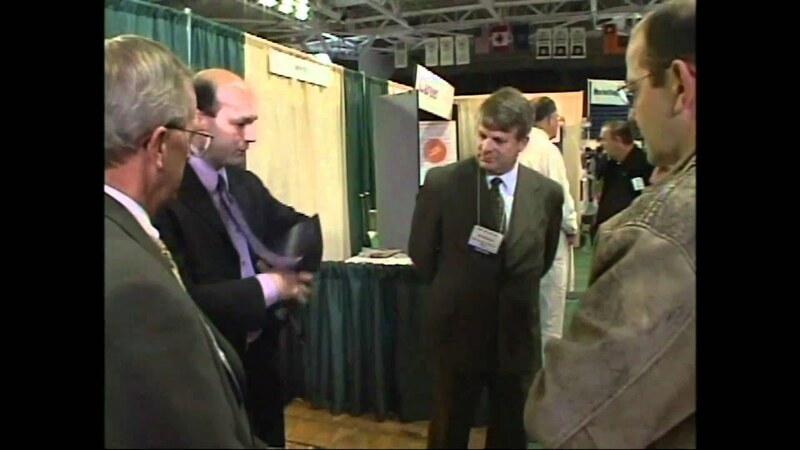 To incorporating a company's key message in a trade show demonstration that not only attracts and educates clients, but lets their guard down creating sales opportunities for the company I'm promoting!!! Phil Smith, CMO (Chief Magical Officer) of Abracadabra Productions is an award winning magician in sleight-of-hand. What this means to you is world class magic entertainment for your event. Quality that you can count on to 'wow' the company CEO, board of directors, clients, and employees and make you look good! Special occasions that often happen once in a lifetime need outstanding magic like Mr. Smith consistantly delivers. Making the wait for the bride and groom disappear (let them get their photos just perfect); focusing the fun and excitment around the guest of honor at their bar/bat mitzvah; or creating memories that last a life time for kids and kids at heart. Phil got the 'magic bug' at the age of 10 and knew at 12 & 1/2 being a magician was his lifelong dream. Now in his 15th year living his dream and presenting magic full time means Phil can be seen attraching cleints to your booth, turning your meeting into a productive one, creating the unexpected at your cocktail reception to galas all over New England. Phil trained in acting and received his B.A. in theatre; and then went on to study with magical greats like Jeff McBride and Bob Fitch. "As I listened to your conversations before, during, and after 'the magic' I was ready to offer you a sales position with us!" "The laughter and whoops of surprise from the various cornres of the boat were the best testimony of a great evening enjoyed by all." "The comedy combined with the magic had everyone laughing and amazed!" Set list varies from venue to style...customized and different ! Variety performers that I've had the unique pleasure to learn and train with Bob Fitch, Randy Judkins, Avner the Eccentric to magicians all over the world!